Self Myofascial Release helps address many systems of the body including the fascia, muscles, nerves, skin and blood vessels. The basic idea is that through the assistance of tools, an individual can self massage and help break up and dissipate knots or restrictions in the fascia and muscle tissue surrounding it. It is theorized that by breaking up these restrictions, the muscle fibers are positioned in better alignment along the natural lines of the muscle fibers, allowing the gliding surface of the fascia to move freely. Muscle relaxation: SMR helps reduce and eliminate stored tension in muscles, which aids in alleviating aches and pains. Suppression or reduction of trigger point sensitivity and pain: SMR promotes the release of endorphins to help reduce pain. Improved joint range of motion, which helps restore optimal length-tension relationships: SMR helps prepare joints for increased range of motion and loads that accompany stretching, strengthening and other dynamic movement exercises. 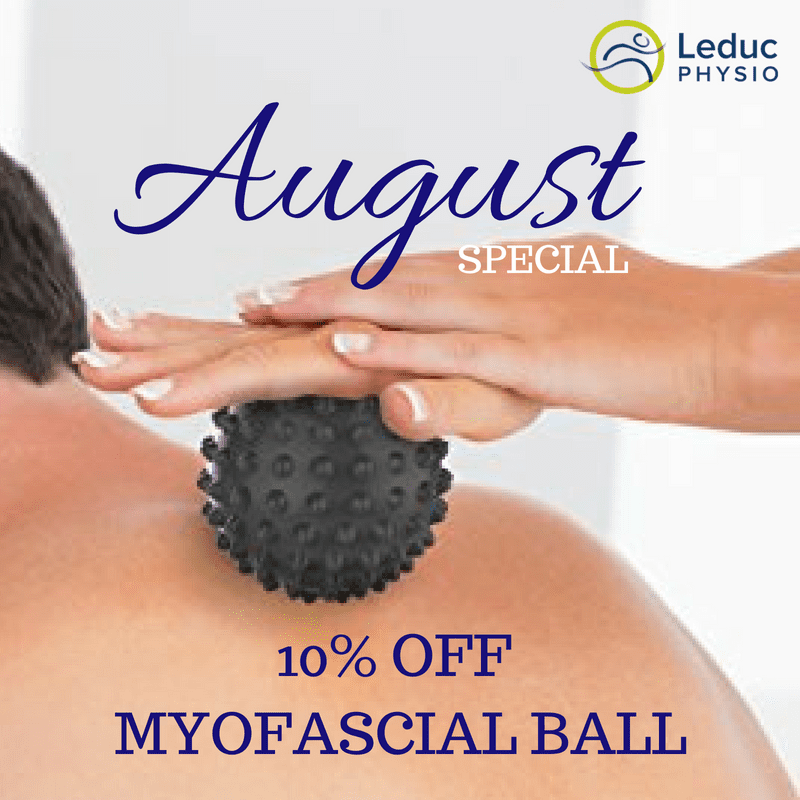 Pick up your myofascial ball at the clinic today! Want to learn how to use your myfascial ball at home? You can book a private 1 hour session with our Kinesiologist! Call the office at 780-980-5443 for more details.